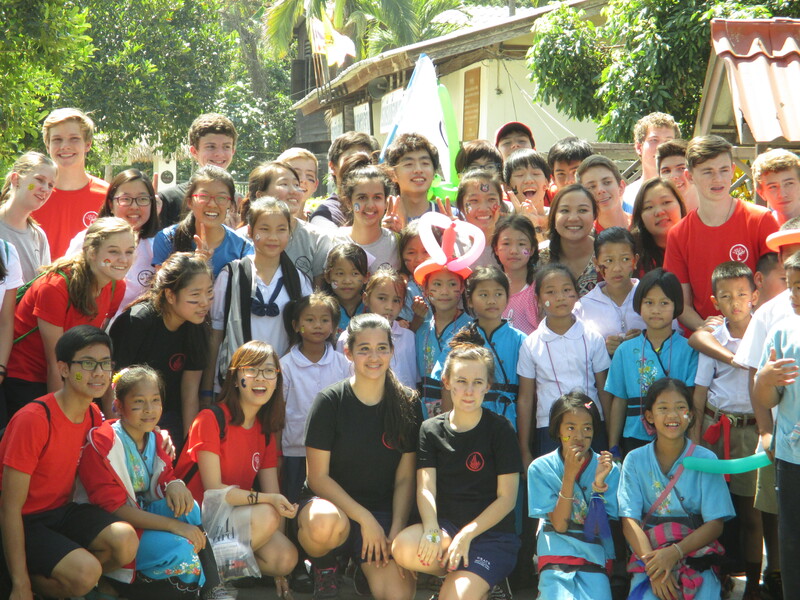 May 2016 - The Webb Family Serving at Grace International School Chiang Mai. Moving and the Call of God. Grace international school is moving to a location about 5 kilometers away and will be sharing a school building with a small bi-lingual school called Satit Bilingual school. This is following the ruling of the courts that the school was illegally purchased and needs to be restored to its previous status as a sports center and handed back to the neighbourhood committe. As a family we are so sad that this has happened. The children will no longer be able to cycle to and from school and the sports programs affiliated with the school. Yet, we recognize that the decisions that the school has taken have been necessary and guided by God. The process of moving is a colossal project involving teachers and administrative staff packing literally thousands of boxes of books, science and PE and music equipment and the kitchen which has catered for at least five hundred people each lunch time. The school building at Satit is far from complete. Rooms and offices need to be built from scratch, wires assembled, sports facilities constructed and the whole place needs to be furnished and made fit for the integration of 570 new students plus over 100 staff and Thai ‘blue collar’ workers. The Staff here have embraced the change and regard this opportunity as a provision from God. The move will involve a stay of two years at this temporary location before moving to a newly built school on land that was purchased some years ago about 10 km away. The school needs to raise around 3 million dollars in order to fund this rebuild. Around $500,000 has been raised so far. Anyone who has been called to follow God and walk with God has experienced the most radical internal change possible. The call was missional. Abraham and Sarah were called in order to bless all the families of the earth who had rejected God’s rule. Similarly, when God calls a person to follow him, his intent is that that person be a blessing to the world. The reason the school exists here is to bless Asia with the good news and good deeds of the gospel. The school like Abraham and Sarah and any christian has received a missional call to the nations. The call was to journey with God. Abraham and Sarah had a personal relationship with God that involved many ups and downs. Faith and distrust, obedience and disobedience marked their journey. Life is turbulent and involves many changes and transitions. The story of the bible is the story of movement, from Mesopotamia to Canaan, to Egypt, to Canaan, to Babylon, to Palestine, to Rome and the ends of the earth. The patriarchs and early Christians were constantly on the move. We must admit that we feel tired of moving and travelling. We want to settle and yet feel very unsettled. We too are exiles and our true city is not in this world. Next weekend we travel back to the UK to reconnect with people and we return to Chiang Mai at the end of July.